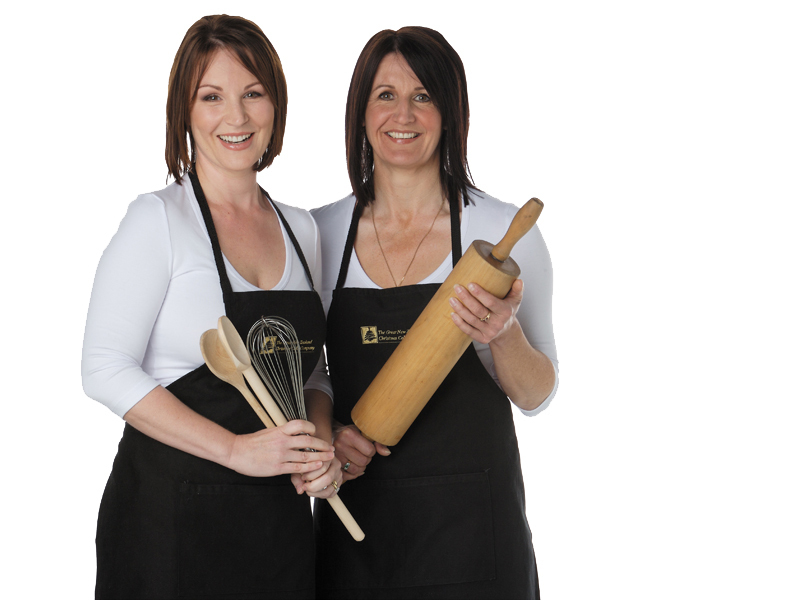 Christmas is our sole focus, and the heart and soul of our family owned baking business. After over 20 years and 4 national food awards our focus remains the same and it's with great pride that we call ourselves The Great New Zealand Christmas Cake Company. All our Christmas cakes are handcrafted, hand decorated and shipped direct from our kitchen in Auckland. Shared with family and friends, given as gifts and sent to over 25 countries around the world, even Queen Elizabeth the II, Charles and Camilla have received our cakes! We are also a specialist at Corporate gifts and we have built a reputation for superior personalised gifts, reliable delivery and outstanding customer service for this business gift market. First take our traditional family recipe handed down over many generations, then select the finest ingredients – fresh farm eggs, New Zealand butter, quality fruit soaked in the finest of port. Add a whole lot of love by carefully mixing, bake slowly, then allow several months for the full rich flavours to mature for that great New Zealand Christmas Cake, just like Grandma used to make. Due to this perfectionist method our artisans only produce a limited number of Christmas cakes and puddings each year. To ensure a wonderful festive season this year, place your order early, because we do sell out. Our traditional Christmas Cakes and gourmet Christmas fare is only available from The Great New Zealand Christmas Cake Company.